Another food post. I’m sorry. Between work and children, I haven’t really done anything massively interesting in the past week or so but this weekend I called on my domestic side and I baked. It was really just an excuse to avoid the ironing if I’m honest and something to impress the children with. It did both. 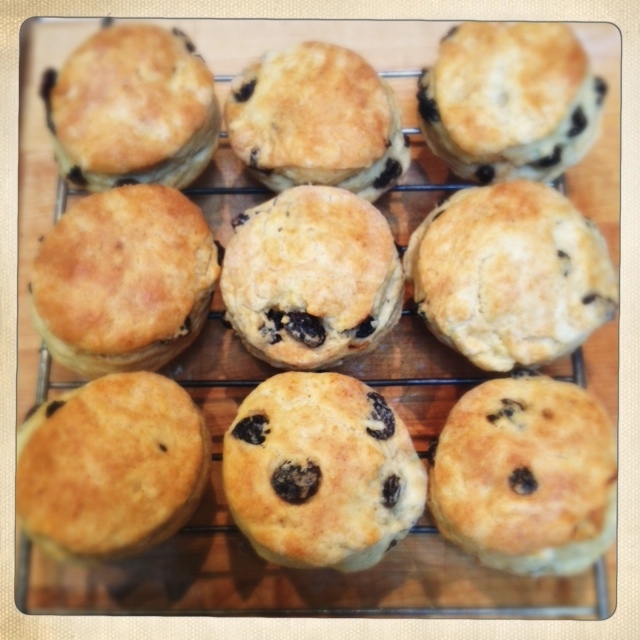 I decided to make scones. 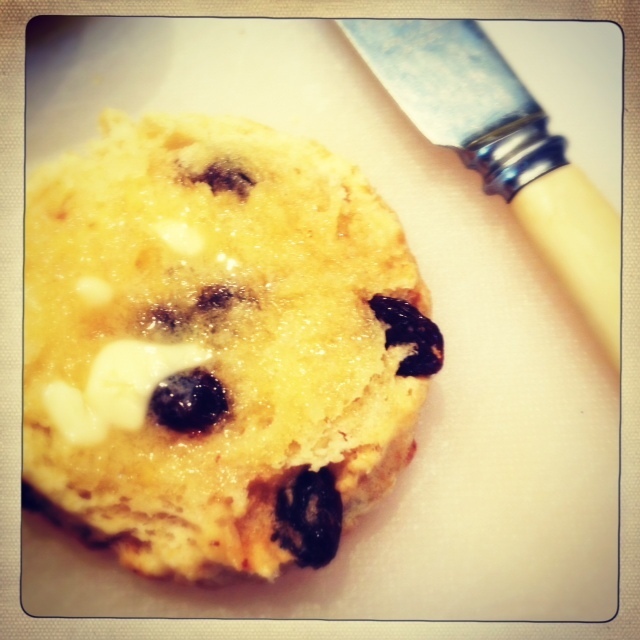 Delicious crumbly, raisin filled scones. I’ve always wanted to make them but never dared. I had put the idea in the same “too difficult for me to attempt” box that contains shortbread and hot cross buns, but they’re not difficult at all and made for a very smug Sunday afternoon indeed. I used the recipe from Jamie’s Great Britain and I didn’t really change a thing aside from the orange soaked raisins – I used some apple juice and left it for only 30 minutes or so – a decision made due to impatient children who don’t like orange juice, rather than anything else. 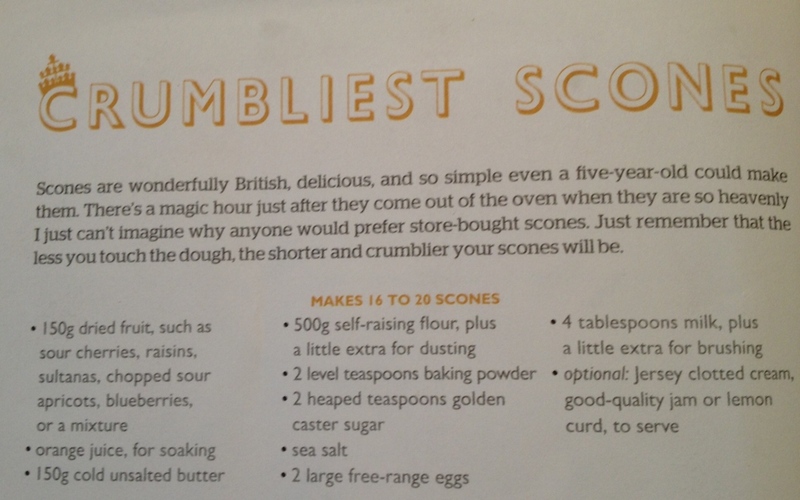 I’m a bit of a purest and like my scones warm with a bit of butter. Having said that, if was a real domestic goddess and had cream and jam to hand, I would have obviously done the whole cream tea thing. 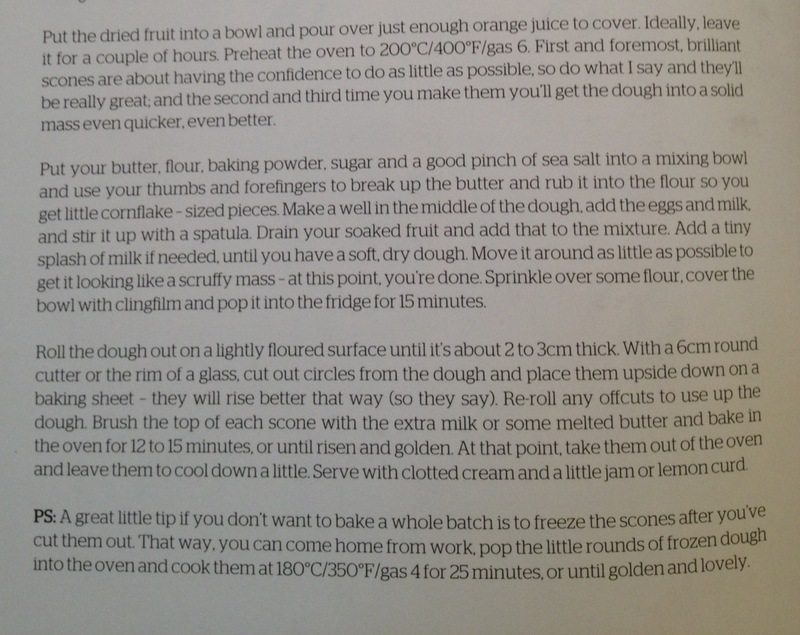 This may seem a bit lazy, but I can’t find the recipe anywhere online so I’ve photographed it instead directly from the book. I think it works. Apologies if not, I’m sure you can just guess the blurred bits.